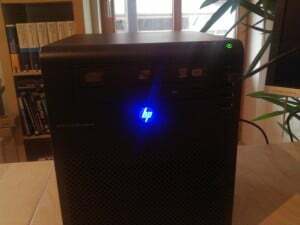 Two days ago my HP ProLiant MicroServer N40L arrived. Since I need more disk space I was looking for a good NAS solution. 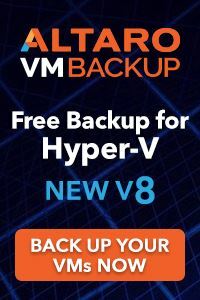 My first experiences with some of the common NAS vendors were not that great, most of the time the NAS was very very slow. 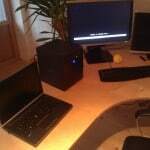 Now this may has changed in the past years but still I prefer a mini server with a Windows OS. 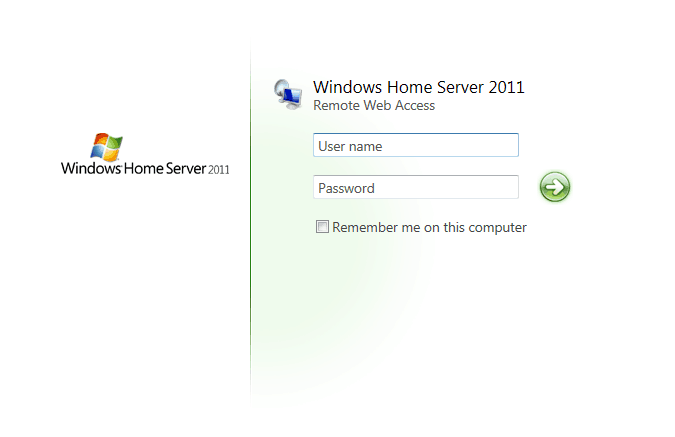 That is where the HP ProLiant MicroServer and Windows Home Server 2011 meet, so I gave it a try. And guess what, it’s a great solution and it does exactly what I need. It stores files with a good performance, it’s quiet, it does not need a lot of power, let me stream content to my Xbox and enables me remote access to my data. Now at the moment I use these two WD 2TB Disks in a RAID 1, and the N40L still offers space for two other drives. 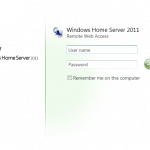 There is one significant “gotcha” to be aware of if you use RAID on an HP MicroServer running Windows Home Server. Having replaced the original OS with WHS 2011 (I never even bothered to boot up the original OS) there are no utilities that might have come with the HP system. You have no visibility into the health of the RAID system and no ability to manage the RAID array. 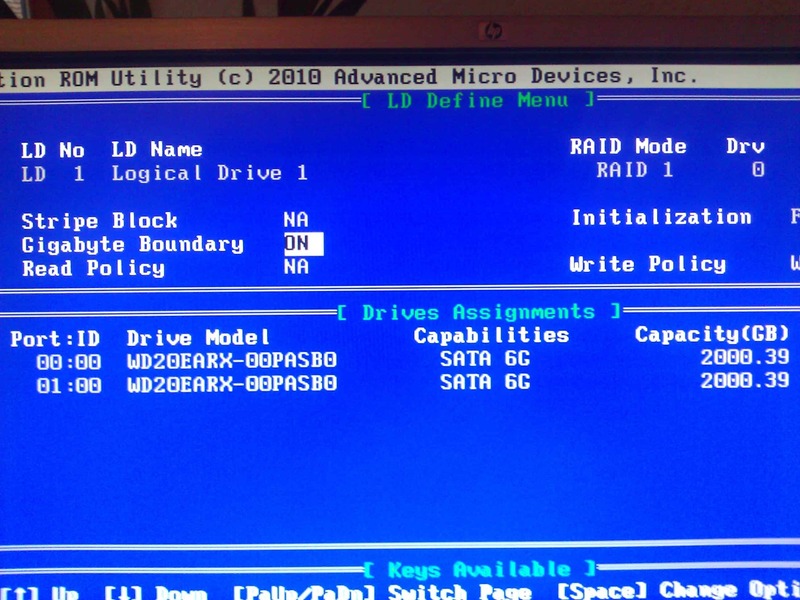 While working on some changes to my system I happened to have a keyboard and monitor jacked into the MicroServer and noticed during POST that one of the drives had become “disconnected” from the RAID 1 array. (Some forum postings indicate that this is a not uncommon problem with the AMD RAID system on various machines. The drive health is fine, but the RAID controller no longer sees the drive as part of the array.) 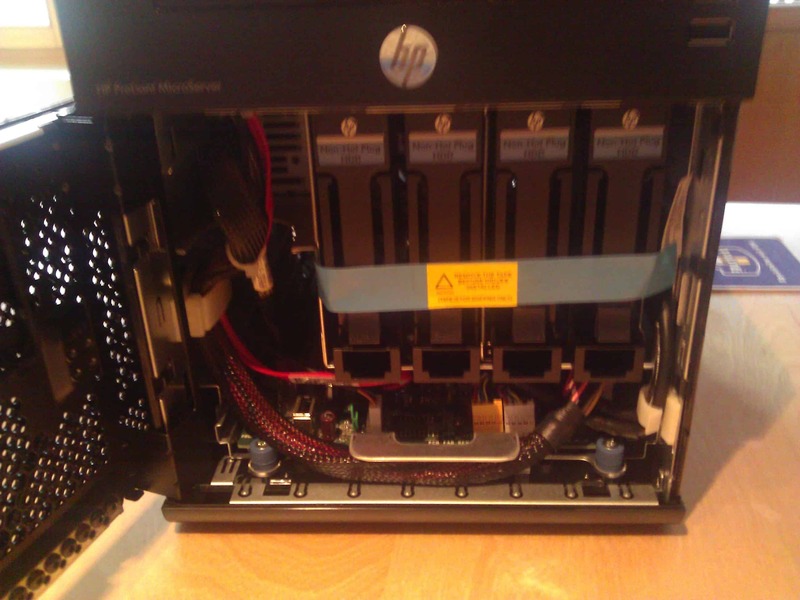 The “System Health” light on the front of the MicroServer did not indicate any problem. I would have had no clue about this failure if I hadn’t happened to connect the keyboard and monitor during a reboot. Users of WHS 2011 and RAID on the HP MicroServer (or any other system with an AMD RAID controller) should download and install RAIDXpert from the AMD web site. (http://support.amd.com/us/kbarticles/Pages/CS1-AMDRAIDXpertDriver.aspx). The Login ID and Password are “admin / admin”. 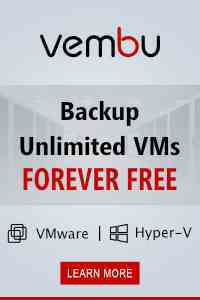 This utility lets you monitor and manage your RAID array. You should periodically run RAIDXpert to check the status of your RAID array on your WHS 2011 system. 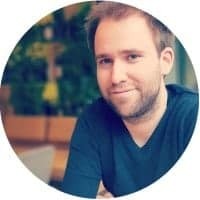 RAIDXpert is a browser app and may not refresh automatically. Following instructions I found on some forums, rebuilding the RAID array was not difficult. You basically delete and re-link the disconnected drive. Doing this erases the drive, so be careful that you are deleting the correct drive. It took around 4 hours for the RAID controller to mirror the 2TB good drive onto the “new” drive. Thanks for your post Chuck – I have only just got my N40L and will do this. Are there any other drivers required for the N40L, to run WHS2011? Hi, No basically WHS 2011 includes all the drivers to install it on a N40L. But I would install the Raid Driver Untility and the Chipsset utility after the WHS installation. Thanks Thomas, I’ll install the chipset (I forgot about this). I assume this includes VGA drivers? I did install AMD RAIDXpert and this allows me to monitor the RAID status, I’m guessing that’s what the RAID driver utility does? I should include the VGA drivers (Can’t remember). Can this little machine be used as a media center? Can it play HD videos (at least 720p)? I can’t find any info about the video card… And, the SATA is 3Gbps, isn’t it? NO it is SATA II — you can pick up a HP212 or 410 dedicated smart array but it is going to cost you $125-200 best case scenario to achieve SATA III and hardware RAID 5. I have 4 — 3 TB drives and a 2 TB drive it the optical slot. So far very impressed alhtough waiting for my HP p410 card to see what a RAID card does to my 4 drive Seagate Barracuda setup with 7200RPM drives. Also if you upgrade to 3TB drives it is important to install the OS on a 2 TB drive and do the updates before installing the 3 TB HDs in the 4 bays as it will error off on the 2TB Windows install from a boot USB if you have the 3TBs installed first. No issues in getting 1080p (uncompressed) over CAT5e or CAT6 stutter-free. Also was able to get fluid 1080p with an AV500 network adapter, although CAT 6 is 6-7 times faster. I was seeing 80MB/s read and 100MB/s write with a single 3TB drive on the N40L before updating the memory from 2GB on a Win 7 64 Enterprise OS. Working on optimizing a hardware RAID for even better throughput but I think at 10MB/s+ sustained should get you fluid 1080p (15MB/s to be safe). Will the HP raid utility allow you to leave the 250g hd supplied to be used as an os drive and then select slots 2&3 for the raid1 for the data drives? 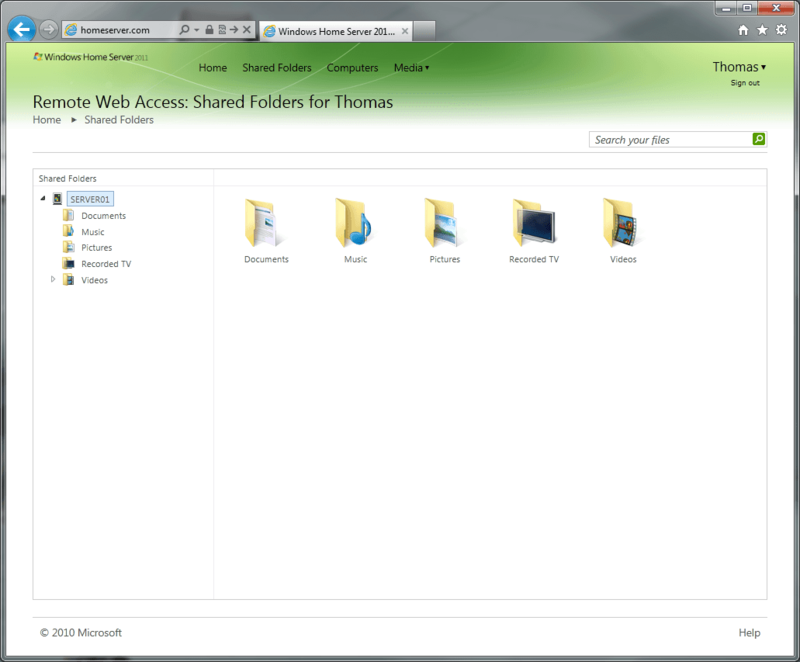 I’d basically like to do: slot 1 for OS (WHS2011), slot2/3 data (raid1), slot 4 extra drive/server backup drive. Is this possible? 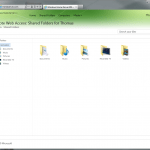 I have some folders mirrored (through LiveMesh) across multiple PC’s, so I’m also planning on having that stuff copied to either the slot 4 drive or to an external drive on the N40. Thank you sir! I phoned/emailed HP since I wrote this to you and NONE of them could answer my question! All I wanted to know is: can I pick the slots that go into the array? The guy asks me, are you trying to add drives? I said, uh, what??? There’s no documentation on the HP website showing the raid setup screens, so I couldn’t tell if your choices were limited. I was hoping, actually, to put the OS drive in the ODD spot and run two raid1 arrays in the four slots. (Since you’re limited to raid1/0 on the included controller). Thanks again! – if you have time and can screen shot the raid utility, I’d certainly be most appreciative! I have exactly the same question, can I use an SSD in to optical bay, and then have two sets of RAID 1 in the four bays below? 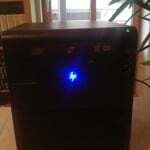 just ordered the HP ProLiant N40L Ultra Micro Tower Server System AMD Turion II Neo N40L 1.5GHz 2C 2GB (1 x 2GB) 1 x 250GB LFF SATA 658553 from newegg and the regular SATA 3.5 connections do not fit the backplane. It appears the correct connection is a 3.5 but thinner. I have had a horrible l time finding drives that fit in this server. I used some WD Green Edition HDDs they worked for me. 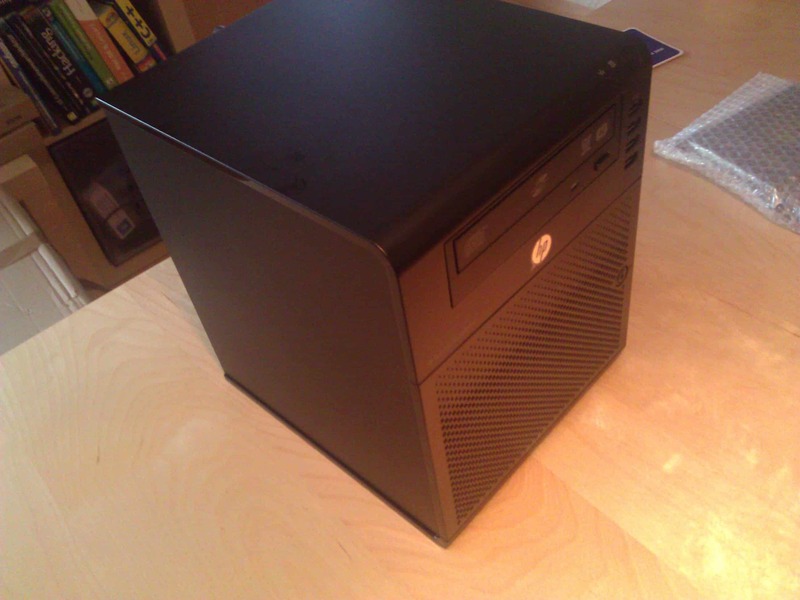 Great post on the HP N40L. 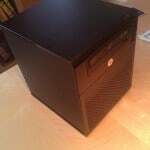 I’m in the market for an entry level 64bit Server to run Sharepoint 2010 for development at home. I’m interested to know what you think the server’s performance might be like running Sharepoint 2010 (2GB RAM minimum) on Windows Server 2008 r2. 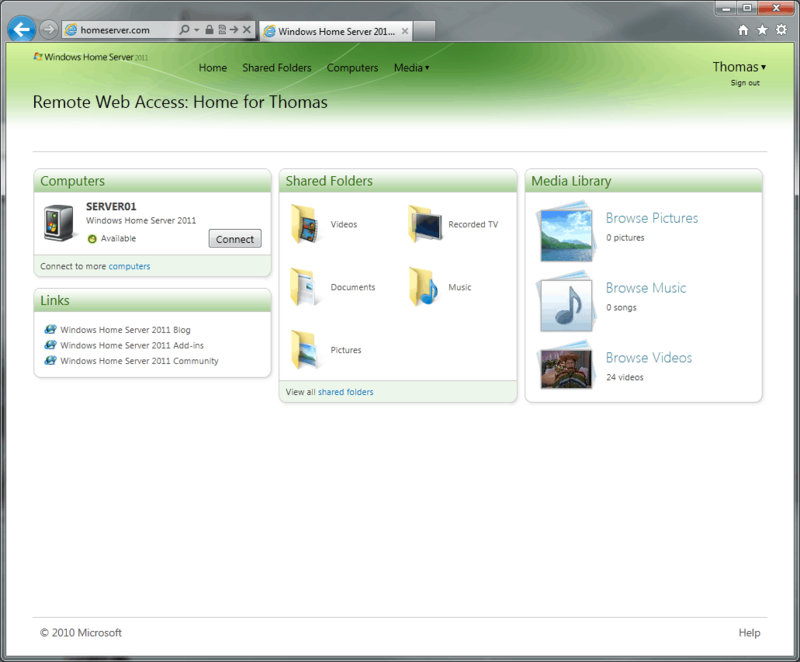 Has anyone else had any experience running Sharepoint 2010 on this server? The link to the RAIDXpert drivers appears to be broken. Google only reports those infamous download sites. Does anyone know where to get it nowadays? And what version should i use? Thanks for starting this blog! I have installed a P410 Smart Array Controller & WHS 2011 on my Microserver, but have come across a small problem. When the server reboots, say after installing a Windows Update patch, the P410 isn’t re-initialized and detected by the BIOS as I have the backup drive plugged into the eSATA port round the back. It see that instead and tries to boot from that unsuccessfully. It works once power cycled. Anyone else come across this and how have you resolved it? Big dumb question. I just got on of these units without doing a lot of research first. My hp mediasmart 485 server died and bought this microserver as a replacement. to my surprise things are different. No connecting software, no wireless, etc.. opps. I am a real beginner and need help. how do I gain access to my new microserver via my PC like I did with the mediasmart server and its connecting software?? Or maybe I can’t. Maybe I need a seperate keyboard and monitor to plug the microserver into. Sorry, I am new to this but can get up to speed with some help. I have lot of questions. Thank you all!!! My unit has the 250 gig hard drive with installed OS. 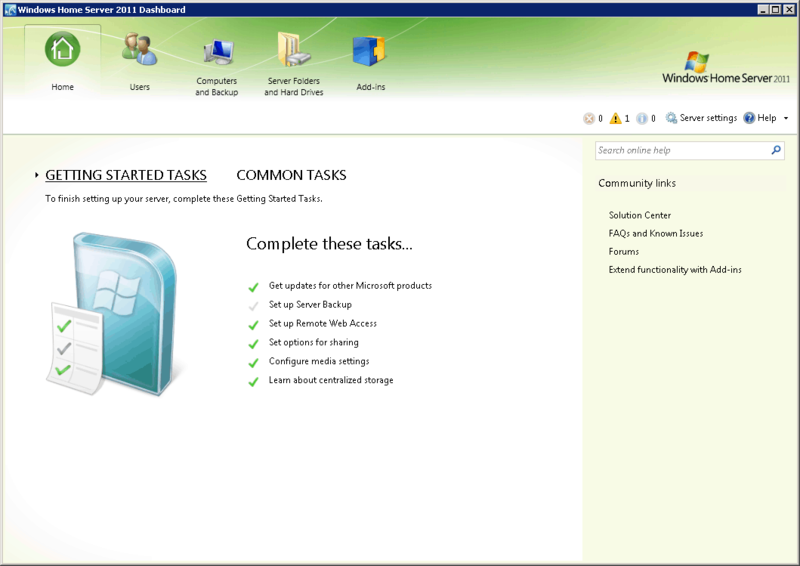 It’s window 2011 homeserver software.. 2gig ram. help!!! just purchased mine for a great deal on black Friday for $260 and I’m going try Windows Server 2012 essentials instead but thanks for the post and comments. 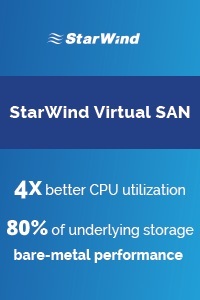 A note on RAID on this unit – Rather than using the onboard RAID, if you are not using your x16 PCIe slot, I would buy a RAID controller, either an HP Smart Array P212 or P410. In my case, I bought a P410, not knowing that the P212 might be a little more useful (one internal port, one external, as opposed to the two internal of the P410). The mini-SAS connectors of these cards are compatible with the cable that hooks to the SATA backplane. I have four 2TB drives in my N40L in a RAID-5 array. The controllers can be found for reasonable prices on eBay, so go there rather than paying a fortune for a new one. Also, get a 256mb cache module for improved performance; they are inexpensive. One other note: You will need to use HP’s Offline Array Configuration Utility CD to create multiple logical drives, creating the first one as a size that can use MBR partitioning (for the boot partition). You will need to wait to create any other partitions until Windows is loaded, so you can use DISKPART to create the second/third/etc. (whatever you choose) drives as GPT if they are over 2.2TB in size. I found this out with a Server 2012 Essentials install, even in Advanced setup, the partitioning utility can’t do this, thus the wait until the OS is installed on the boot partition. 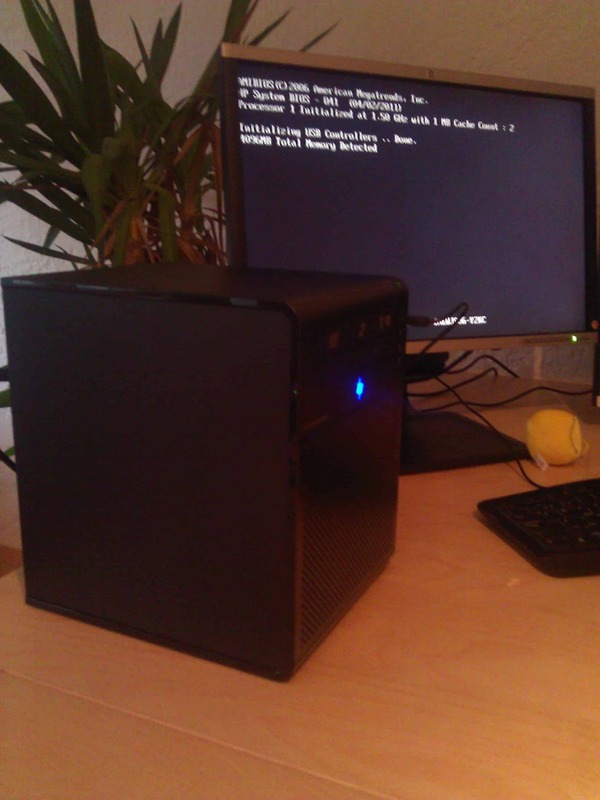 My RAID-5 is up, I have two logical drives (one 160GB boot, one 5.3TB D: drive), and it works well. I am using the eSATA port from the onboard SATA controller for an external drive for backup. I´ve just bought a Caviar Green 2TB to be added to my Proliant with two more HD, another 1 TB Green Caviar and other WD with less memory for programs. My new 2TB HD is not recognized by the Proliant. Could you help me? Regards in advance.